Jimmy Jangles presents: The Optimus Prime Experiment: Sharks: Fearless man eaters or misunderstood monsters? Is there something stuck in my tooth? You love, I love em and surfers and seals hate them. 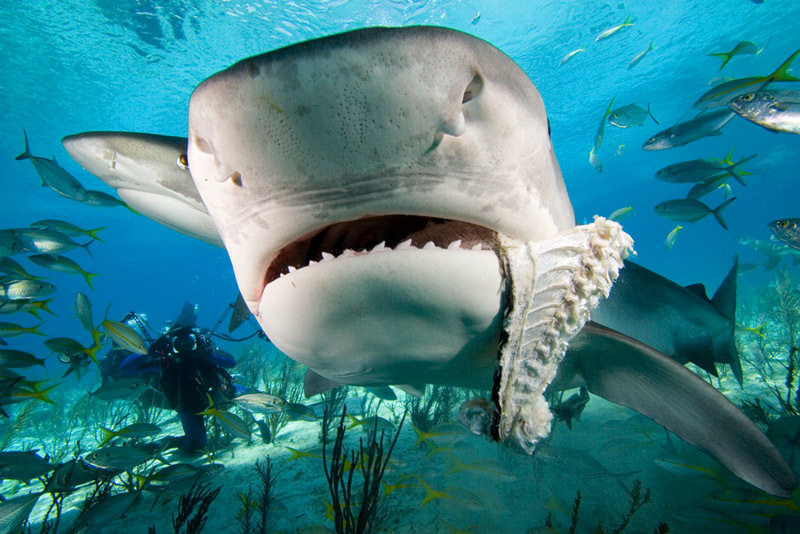 Tiger sharks, hammer heads and great whites - all known as kings of the ocean. Fearless man eaters or misunderstood monsters? 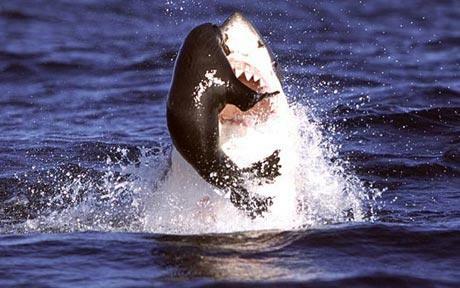 Here's a Great White Shark greedily trying to shove ALL the fish down his gullet. Do fish have gullets? I have no idea. Perhaps you could ask this crocodile if he noticed while he was munching on a shark.. 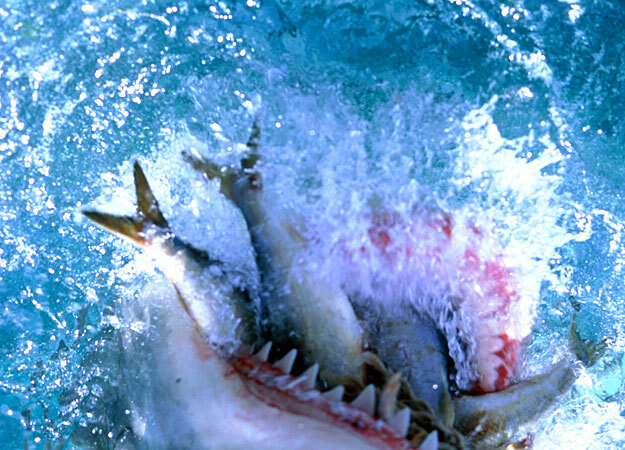 The above shark was the man eater that was filmed in the extremely popular documentary Jaws which was directed by the well known animal rights activist, Steven Speilberg. 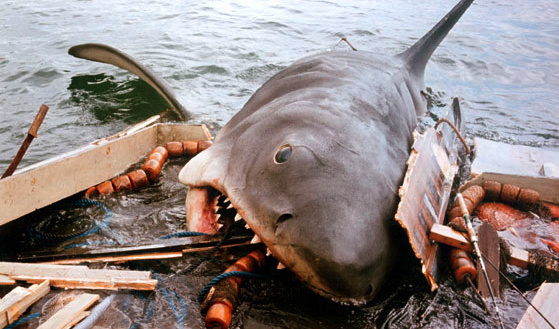 Jaws famously ate Spielberg's boat, which cause his camera operator to quip the now legendary line, "we're gonna need a bigger boat!" 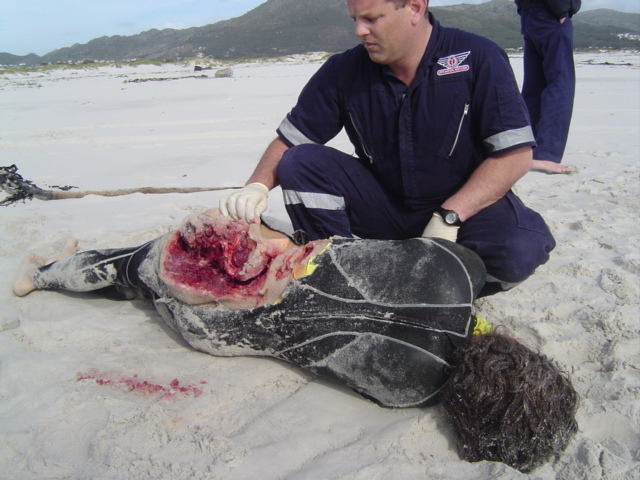 Sadly, a shark attack victim - surfers are often mistaken for seals and attacked. 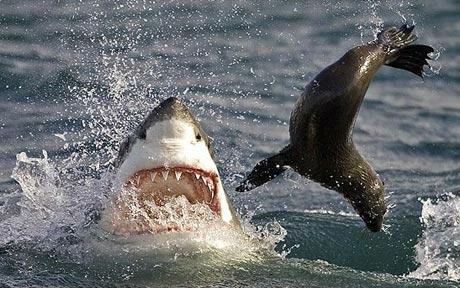 Here's some sharks doing what they do best: eating baby seals. And who would blame them? Baby seals are delicious! !